Unlike the competition for favorite Doctor, the contest for favorite Companion is absolutely thick with excellent choices. Rose Tyler, the Bad Wolf, is one of the great loves of the Doctor’s long life, a normal girl who becomes so much stronger and less complacent. Captain Jack Harkness is a dashing, immortal rogue who can seriously challenge and support the Doctor. Sarah Jane Smith is a capable, intelligent woman, a nurturer and protector, and also one of the Doctor’s best and dearest friends. Martha Jones is arguably the greatest of them all, having no title or special abilities or anything like that, yet she endured far greater hardship than all the rest, and she eventually moved on from her fixation with the Doctor. Donna Noble, the Doctor-Donna, this sassy Londoner who was so normal and so very special at the same time. Amelia Pond, the Girl Who Waited, a gorgeous redhead who stood on equal ground with the Doctor, as I mentioned yesterday, and brought Rory Williams with her. She was my initial choice for favorite. Rory Williams, the Last Centurion, a romantic rival to the Doctor that you actually root for, and who gets the girl. Clara Oswald, the Impossible Girl, also the Doctor’s equal and dear friend. Nardole, the unexpected, unassuming badass who could hold the Doctor in check. 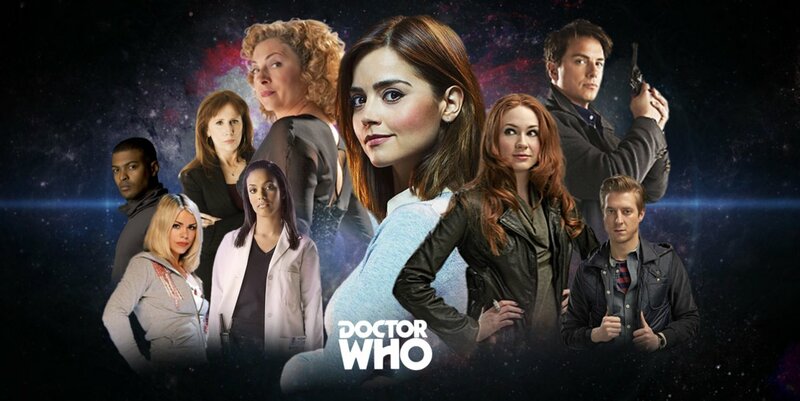 Much like all of the Doctor’s Companions, Christina is a cut above the rest. She’s clever, brave, level-headed, and confident. Unlike others, however, especially up to this point in the series, she’s not lost or fixated on the Doctor. She’s not trapped, she just lacks a proper purpose in her life, which she finds in her adventure with him. Also unlike most other companions, she’s a true equal of the Doctor, the only real equal I see in Tenant’s tenure, and she made herself such within one episode, which, even Smith’s companions needed entire seasons to establish. She could well have been the best companion the Doctor ever knew, and was only barred from such because the Doctor had lost, in one form or another, everyone he ever traveled with, so he was reluctant to open himself up to that again. And that was a tragedy. So, for better or worse, while I love most all of the Doctor’s Companions, my favorite, by a thin margin, is Christina. This entry was posted in 15-Day Doctor Who Challenge, Challenge Accepted and tagged Doctor Who. Bookmark the permalink.